Before deciding on your accommodation decide whether you want to stay (1) at the hot springs, (2) in the historical town or (3) on a farm in the Montagu surrounds. 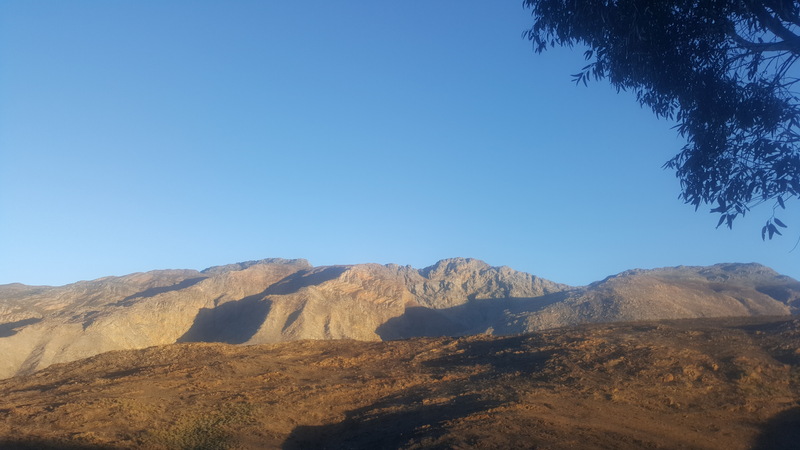 In town the best options are the Montagu Country Hotel and Montagu Vines, on a farm try Keisie Cottages and at the hot springs is Avalon Springs. 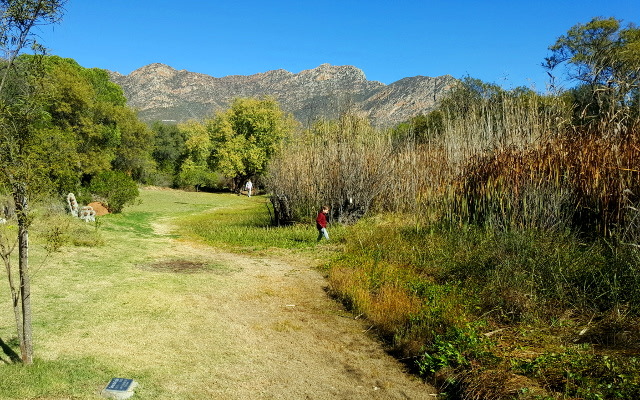 Montagu is a town at the very beginning of the Little Karoo, and is known for its warm spring pools and beautiful walks.We rate Montagu alongside Prince Albert as being the best spots to visit in the Karoo. At the time of writing, Airlies was ranked the 5th best B&B in Montagu, by Tripadvisor. 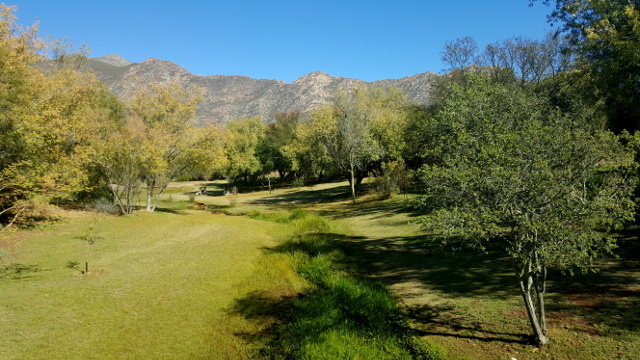 Keisie Cottages is situated on a farm about 24km from Montagu, on a farm appropriately named Vredendal (peace in the valley). Go swimming in the pool or reservoir in summer. Enjoy mountain biking or hiking up into the mountains. A lattice fence seperates the cottages. 3 km after Montagu ? 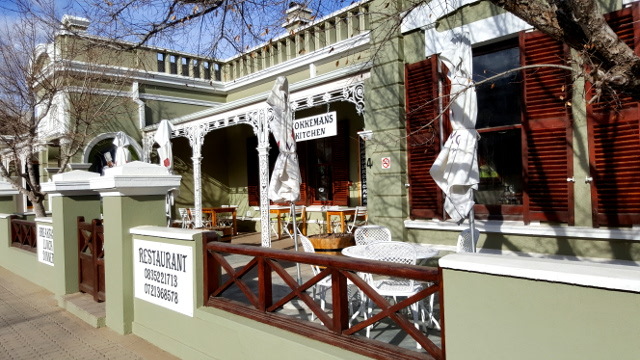 I never got the chance to eat at Kokkemans Kitchen, but the outside of the building is beautiful, and they've got a 4.5 rating on Tripadvisor, which ranks them 7th out of 21 restaurants in Montagu. So, I'm not quite recommending them, but it looks worth a try. To make a booking their phone numbers are 083-522-1713 or 072-136-8578, and they serve breakfast, lunch and supper. Their street address is 44 Bath St, Bergsig, Montagu. 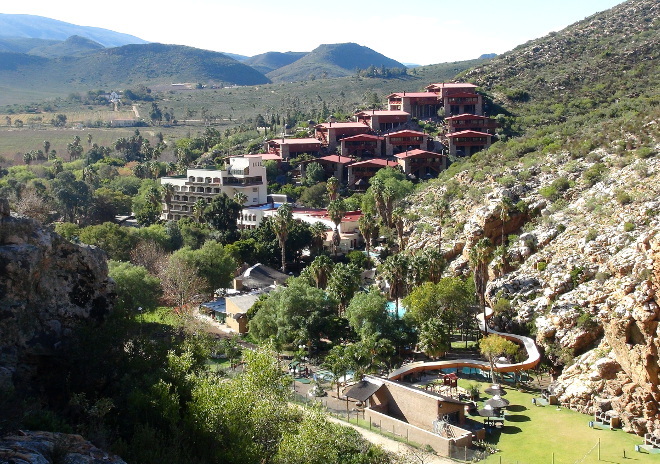 Avalon Springs is situated right on top of the hot springs, so if this is all you're going to Montagu for, it's probably the place for you to go to (address is at Uitvlucht Street). There's a pool which is specifically for hotel guests. Contact them at 023-614-1150. Get an Avalon Suite, with a spa bath in the room (fed from the springs). 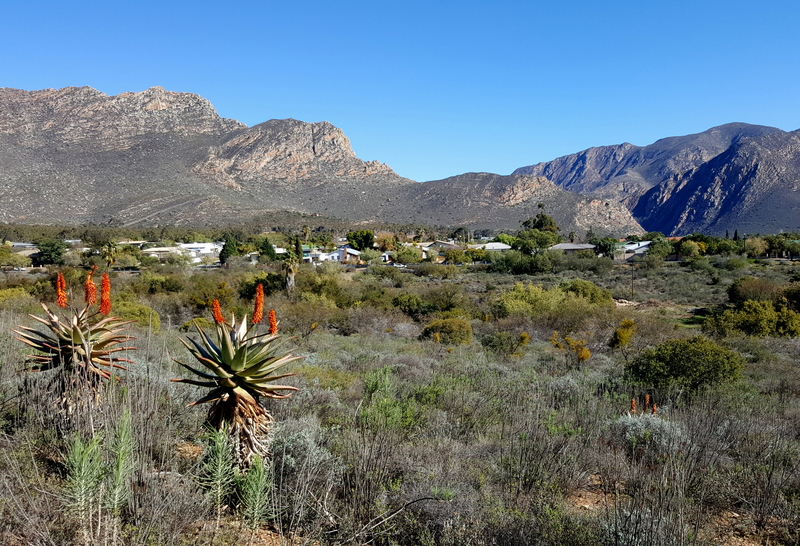 Montagu is situated in the Klein Karoo on the R62, about a 2 hour drive from Cape Town, and also 2 hours from Oudtshoorn. It's at the start of the Karoo and free from pollution, so do stargaze at night. 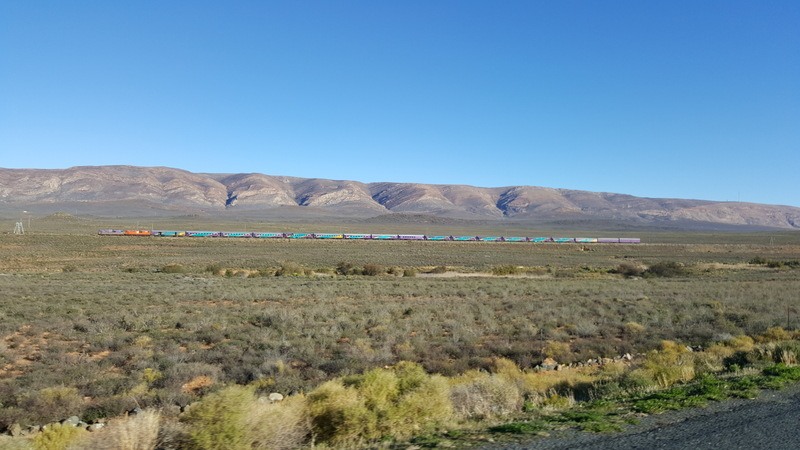 An option for getting to Montagu is to turn off the N1 onto the R318; which will take you through Koo Valley, over the Burgers Pass and through Keisies Valley. Warm summers and crisp dry winters. Montagu is far enough north to escape the wet winters of Cape Town, and far enough south to escape the extreme heat of the Karoo. 5 to 7 July 2013 : The Breyten Breytenback Festival in Montagu. 1981 Montagu is devastated by floods. 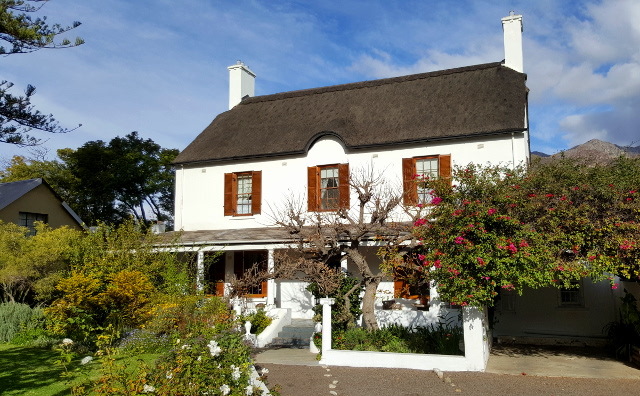 1853 Joubert House, a Cape gabled thatch house, is built. This is the oldest building in Montagu and is situated in Long Street. A little room in Joubert House contains a collection of historical toys, including individually numbered handmade porcelain dolls. 1851 Montagu is founded on the farm Uitvlucht. The Avalon Springs hotel is situated right at the hot spring baths. You can literally walk out of the hotel and into the pools. There is also a warm spa pool inside the hotel. Bathing in the hot spring baths is the number one attraction for most tourists visiting Montagu. Tractor trip from the Montagu Factory Shop & Wine Boutique to the old English Fort & back. Best spot for bird watching is the Leiwater Dam (irrigation water dam), which eighteen species use as a breeding ground, and where you can find Montagu's famous bird tree. Neil Burger tractor drive to the top of the Langeberg. Visit Joubert House, the first house built in Montagu, and see the collection of historical toys. 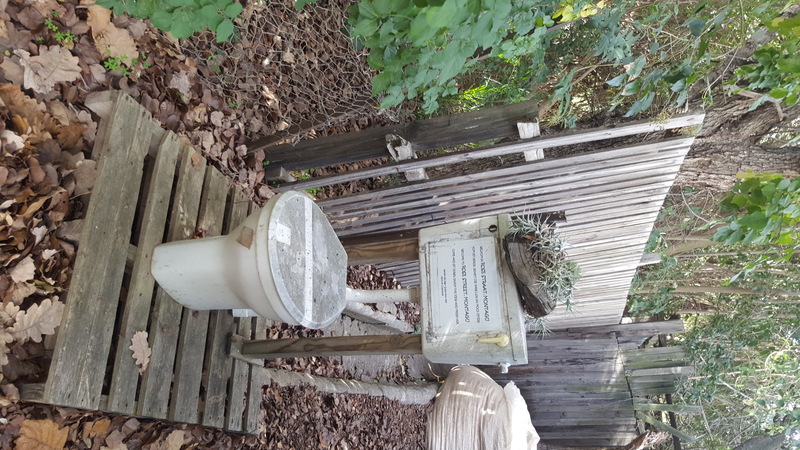 Behind Joubert House is a garden with more than 120 plants that have been published in the Herbal Remedies of Montagu Museum. IOpen from 08h00 to 17h00 on weekdays, and from 10h00 to 12h00 on weekends and Public Holidays, closed on Christmas day and Good Friday (phone 023 614 1774, email mmuseum@lando.co.za).? Joubert House was built in 1853 by Pieter Gideon Joubert for his father, and stands on a sub-division of the original Uitvlucht farm. It was declared a national monument in 1975. 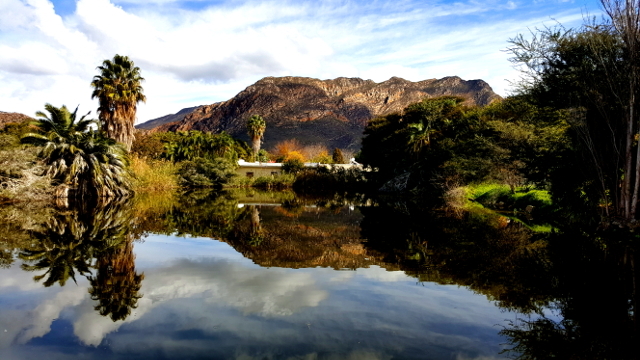 Montagu's Nature Garden is a haven of peace; literally a 15 minute walk from the town's centre. The garden has a bit of a Kirstenboschy feel to it; but is more rugged, has less pretty plants, and Table Mountain is replaced by the Cape Fold Mountains in the distance. The plant-life is combination of renosterveld, succulent karoo & fynbos. The best time of year to visit the garden is in the spring, when the vygies bloom. 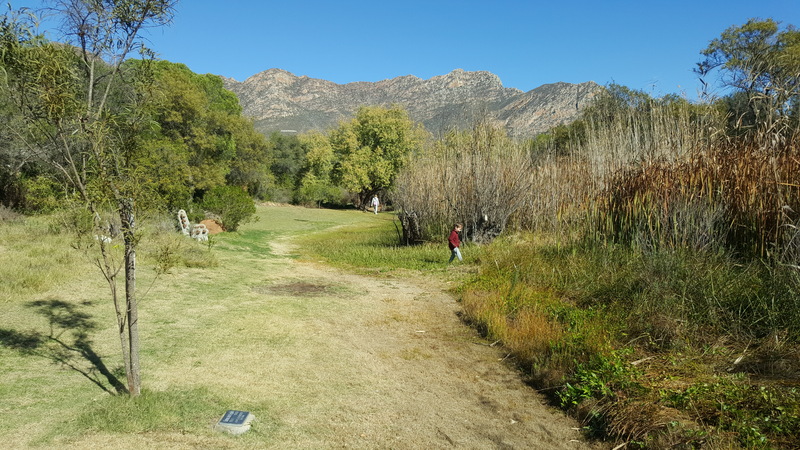 Where it differs most from Kirstenbosch, is that Montagu's Nature Garden extends into the scrubby hilly nature reserve extending up to Bessiekop and beyond. The area was formalised as a nature garden in 1954. Here's Bessiekop. You can work your way up and down her in the space of about an hour. 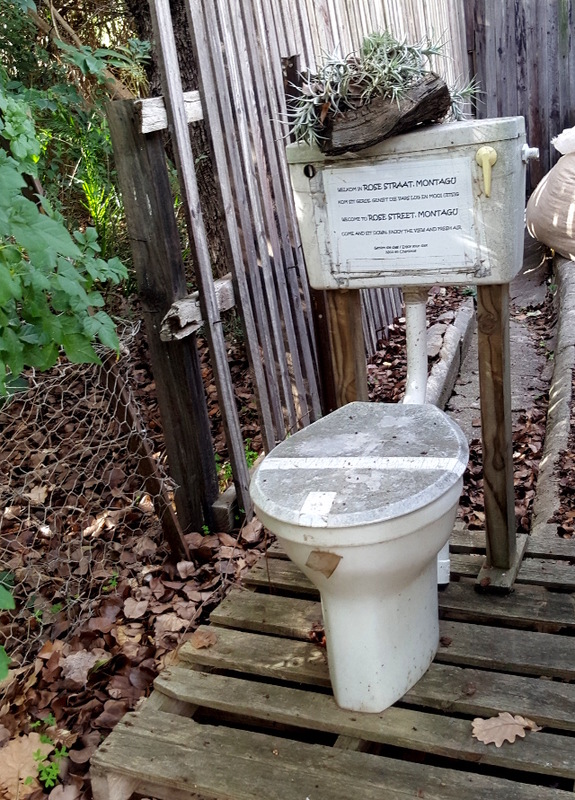 This is a suitable hike for taking your kids with. If you're looking for a bigger challenge, try the climb up to the cave above Avalon Springs - also up and down in about an hour, but it includes ladders with steep falls. Here's a panoramic view from the top of Bessiekop, the town is on the right, above which is Cogmanskloof Pass leading to Ashton, and in the middle you can see Sarahsriviersberg towering over the area - she's the highest peak in the Montagu area, and is part of the Langeberg Mountains, which in turn are part of the Cape Fold Mountains. 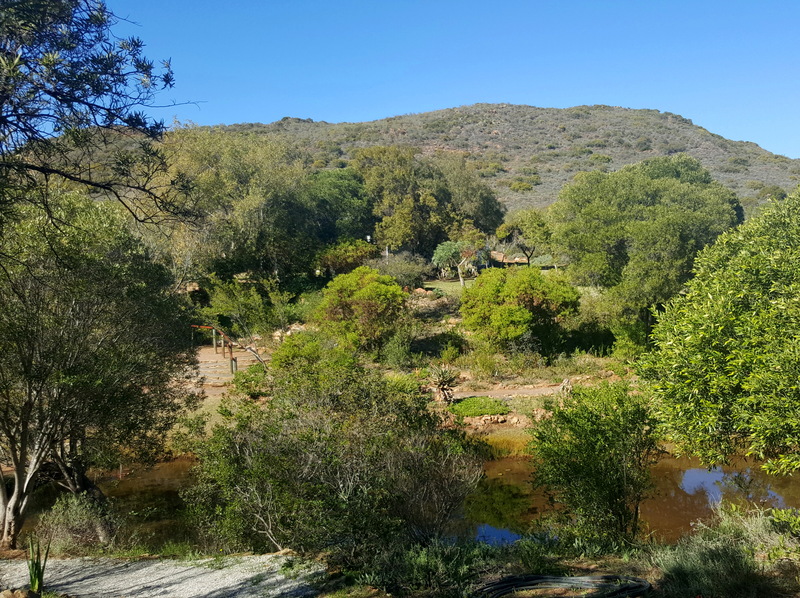 Unlike Bloukop, not many people have been on top of Sarahsriviersberg, not because of the difficulty of the climb, but because of the steep gradient, vegetation challenges, and the fact that there isn't a well-trodden path to the top. 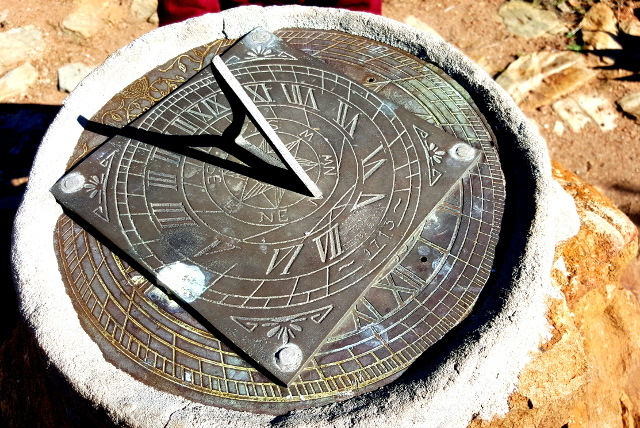 There's a sundial in the garden, where you can check the time, or teach your kids about how it works. Guess what time we visited?